Recursive newton euler inverse dynamics solver. The algorithm implementation is based on the book "Rigid Body Dynamics Algorithms" of Roy Featherstone, 2008 (ISBN:978-0-387-74314-1) See page 96 for the pseudo-code. It calculates the torques for the joints, given the motion of the joints (q,qdot,qdotdot), external forces on the segments (expressed in the segments reference frame) and the dynamical parameters of the segments. Definition at line 40 of file chainidsolver_recursive_newton_euler.hpp. grav The gravity vector to use during the calculation. Definition at line 27 of file chainidsolver_recursive_newton_euler.cpp. Definition at line 48 of file chainidsolver_recursive_newton_euler.hpp. Definition at line 44 of file chainidsolver_recursive_newton_euler.cpp. Definition at line 34 of file chainidsolver_recursive_newton_euler.cpp. Definition at line 72 of file chainidsolver_recursive_newton_euler.hpp. Definition at line 74 of file chainidsolver_recursive_newton_euler.hpp. Definition at line 66 of file chainidsolver_recursive_newton_euler.hpp. Definition at line 73 of file chainidsolver_recursive_newton_euler.hpp. Definition at line 67 of file chainidsolver_recursive_newton_euler.hpp. 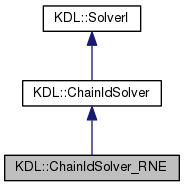 Definition at line 68 of file chainidsolver_recursive_newton_euler.hpp. Definition at line 70 of file chainidsolver_recursive_newton_euler.hpp. Definition at line 71 of file chainidsolver_recursive_newton_euler.hpp. Definition at line 69 of file chainidsolver_recursive_newton_euler.hpp.